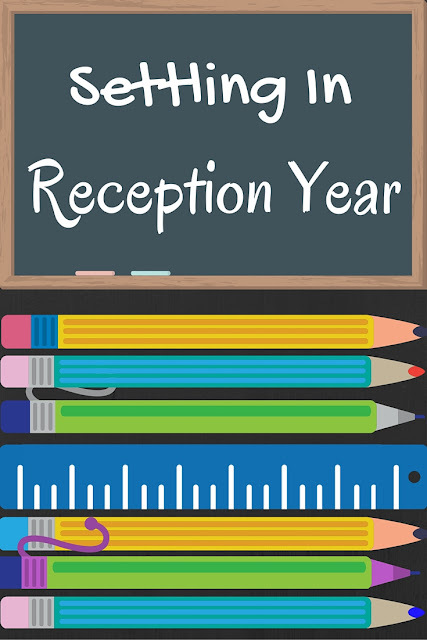 So you were worried about your precious little ones starting in reception this September. You wondered how they would cope, if they would settle in nicely and be happy. Here are six signs, indicators that your offspring is coping brilliantly with the challenges of being in reception. 1) Your child comes home with blobs of orange paint smeared on their uniform. Washable, you realise with relief as you scrub it down with a wet wipe. Talk about small mercies! 2) Your child empties their pockets on your freshly vacuumed carpet and out tumble an assortment of tiny pebbles - apparently an attempt at baking gone astray. 3) "There is sand in my shoes!" is the understatement of the decade as fistfuls of the stuff makes its way straight onto your, wait for it, newly vacuumed floor. Seriously, how did the child manage to walk in those shoes at all? There was enough sand in there to build a castle. 4) It is 5am and your child decides they can no longer sleep because they are too excited and can't wait to go to school. 5) "Wah! My uniform is not smart any more!" is the reason for a meltdown after your child has come back home from school. Well, it wouldn't be, would it? Not after it has been in the mud kitchen all day. 6) The replies to all your school-related queries are consistent, irrespective of day of the week. Q: What did you do at school today? Q: Did you enjoy school today? Ha I always wondered how my nephew managed to get sand in his shoes when they didnt have a sand pit! Number 4 is brilliant! I'm so glad things are going well! Eliza seems to come home covered in paint on a daily basis! The only thing we had from that list was the paint. I don't think my son was that keen on reception, but now he looks back on it fondly as when he got to play at school. My son has just started reception and I do find out what he had for lunch (most important part of the day!) and that on Thursdays he does PE or 'running around'. I know he has PE as he comes out jumper on backwards, trousers wrong way round and socks on inside out! That's lovely that your little one is enjoying it so much, had to laugh at the sand :) Such a happy time in reception class. When I ask my son if he enjoyed college today, his reply is always "yes" asking, what he did... "not much"... the answer never changes no matter what the age!! hee hee, that list brought back memories ... and we still have all of that 5 years on!! It is lovely that your little one is enjoying it so much! Lol this sounds just like Riley last year in reception!! Now this is encouraging especially that last question as I'm asking all the others and getting "nothing" "no-one" and "can't remember". I think POD is enjoying it, we only heard she was doing something the other day although yesterday she came back with 2 pictures!